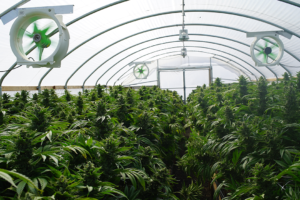 In a rather surprising turn of events, a commercial insurance provider is willing to step in and provide insurance to the soon to be legal commercial marijuana operations in the State of California. Golden Bear Insurance Company was recently approved to begin offering commercial insurance for all state sales for Marijuana dispensaries. Recently, Governor Jerry Brown signed legislation that would allow the commercial selling of marijuana in California beginning January 1st. When the state was racked by wildfires this year, especially in the Northern half of the state, these commercial farms went up in smoke. Without any insurance, owners were liable for all of the damage and property loss. This was because at the federal level, marijuana is still considered a class 1 controlled substance, or the same category as heroin. As a result, many national insurance companies are reluctant to sell insurance to state dispensers because they would be running afoul of the government. Regardless of a company’s stance on the drug, most states either don’t allow recreational usage or limit it to medical prescriptions. With the federal stance on it clear, insurance cannot cross state lines. Be careful of who you deal with when it comes to the drug and follow all state rules.